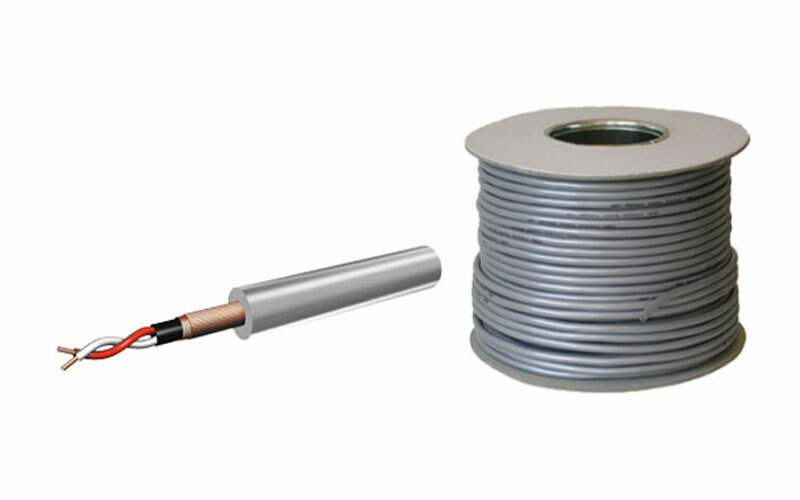 2X Conductors (20/0.12 + 2/1#)- Stranded with highly pure copper wires, along with two tinsel wire. Insulation-The above wo Conductors, each coated with low capacitance Low Density PE (LDPE) insulation layer in red or white respectively, are stranded with cotton filling. Black Conductive PVC-This conductive PVC achieves a 100% shielding coverage which prevents both EMI and noises from mechanic vibration and twist. Double Layer Shield (45/0.12 + 56/0.12)-Specifically designed double-layer bi-directional spiral wrapping copper wire achieves the shielding coverage higher than 95%. Jacket- The soft, highly flexible non-migration PVC jacket provides durability and elegant matte finish.